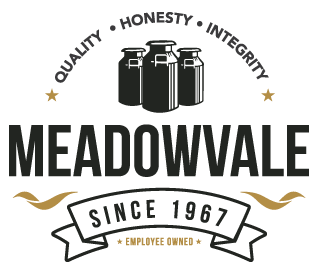 If you are currently a Meadowvale account or if you simply find our products irresistible, it’s because all ice cream mixes are not made the same. There are a lot of ways to cut corners in the ice cream mix business, but in the end, the product reveals itself as either average or extraordinary. Here at Meadowvale we are only interested in making the best. In order to make the best we incorporate only the best ingredients. The best ingredients cost more but the quality is unsurpassed. In an effort to help our customers better understand how these ingredients affect their pricing we created this easy to use formula for tracking pricing. There are four major ingredients that will control a products pricing. They are Milk (class II), cream (butter on the CBOT market), non-fat dried milk (CBOT) and sugar (sucrose). All of these items can be followed as commodities on the Chicago Board of Trade. There are several websites you can use as well as industry publications that will give daily or weekly averages for each ingredient. Here at Meadowvale we contract a good portion of our ingredients in an effort to remove some of the drastic swings we may see throughout a given year. Rather than run from the highs and chase the lows of markets, we find that stabilized pricing is the best strategy for the retail market. Generally we may see around five minor pricing shifts, both up or down in a single year. These gradual shifts allow us collectively, to ride out the storms and coast through the lulls. The greatest risk in any market is an attempt to time your purchases. And when dealing with perishable products, it can be disastrous. Simply put our approach to all markets is proactive yet conservative. If our price goes up, you can be assured it is a result of good judgment and an unwavering commitment to quality. Contact me when you: want business advice, have questions concerning mix prices, need help with your fantasy football team. Around the office, you can find me: communicating and helping the team wherever possible, signing checks, celebrating a Cubs win.